According to a survey, pizza is the food that makes everybody happy. But why? The reasons for its worldwide popularity are different but basically the key is the simplicity of combining dough with toppings that come in endless variations. 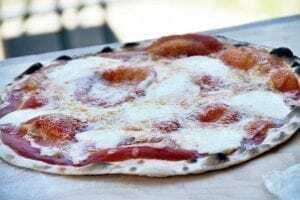 In the last few years the number of people who try their hand at making pizza at home has grown tremendously and when they get around to make pizza dough, they really realize what it’s like to master this craft and all variables involved in it. Furthermore, making pizza at home is nothing like making it in a restaurant, chiefly for the pizza chef’s experience and savvy and then for the available equipment. 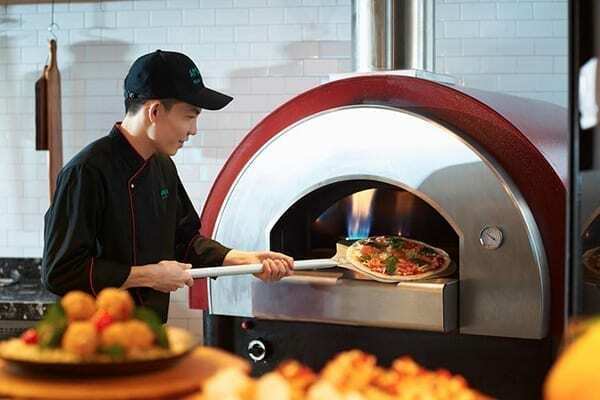 In this article, we will talk about a key phase in the pizza making, the baking; then, we will explain how long to cook pizza according to the type of oven. 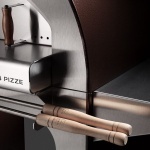 Particularly, we will dwell on its crispiness and the different kinds of pizza doughs; we will distinguish between pan pizza and pizza “alla pala” clarifying the most common mistakes when cooking pizza and finally we will give you some useful tips to bake pizza like a pro in your home oven. What does crispy pizza mean? A good pizza dough is neither dry nor burnt; a good pizza is soft but not chewy and this is a result of a well-leavened and well-matured dough. A dough with a strong gluten network traps gas bubbles called alveoli and gives a lighter and more digestible pizza. The water in dough evaporates during cooking and even after pizza is taken out of the oven until the temperature drops below 100°C (210°F); that’s the start of caramelisation process, as Teo explains in this pizza making forum: “The caramelisation is a series of chemical reactions that begins with the evaporation of water and ends with sugars transformed into caramel. Look at the pizza edge that is shaped to be thicker during stretching (especially in the traditional Neapolitan pizza). The thickness and the absence of toppings allow the dough to swell and cook until golden. Pizza normally is soft in the centre and crispy on the edges. Pan pizza has a higher dough hydration than the normal one because the pan can keep the shape of the pizza. More water means that you can use stronger flours and therefore allow for longer rising and maturation times that in turn will result in a crunchier and lighter pizza. Pizza was born as a simple dish for poor people whose main ingredients were and still are two: flour and water (in addition to the yeast that in the case of sourdough starter are the same two ingredients). Top quality is the name of the game here. The choice of the right flour is absolutely crucial to make a good dough. Tipo 1 or Tipo 2 flours have high protein content that enables the dough to rise with a good structure. The water is another important component both in terms of purity and temperature: by using warm water, we speed the leavening action. Pick mineral water if the tap water is too chlorinated. One of the major parameters in making dough is the hydration i.e. the ratio of water to flour. Usually an average pizza has a 60% hydration while pan pizza reaches 80%. Yeast makes dough grow but too much of it would affect the pizza taste and digestibility preventing the dough from maturing enough. The amount of yeast depends on time and temperature. Oil acts as a lubricant in the dough, making it easier to stretch and it imparts its characteristic flavour as well and more so if you use extra virgin olive oil. Sugar provides a source of nutrient for the yeast and is specially recommended for making pan pizza. The type of sugar can have an impact on the flavour, so go easy on it. White sugar, cane sugar, honey or malt will do. Basically, to make dough you must control time and temperature. The end product must be compact and with an inner structure that can hold the gases by making the dough swell. The leavening time depends on the type of pizza, the amount of yeast, the different phases (bulk fermentation and final proof) and last but not least the pizza maker’s savvy. As we already know, stretching provides both strength and structure to the dough. By doing that, proteins line up to form a gluten network that will trap gases and allow the dough to rise. A perfect dough will spring back and will be soft. The temperature is one of the most important parameters when considering buying an oven. They can reach different temperatures, and, above all, they transfer heat differently when baking. 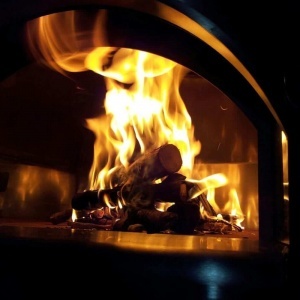 An electric oven can hardly attain 250°C (450°F) while a wood-fired oven reaches 500°C (900°F). 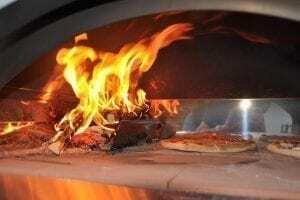 In vaulted ovens using real fire such as wood, gas-fired or hybrids, pizza cooks simultaneously from above and below, combining thermal conduction and thermal radiation and further reducing cooking times to just a few minutes. The oven humidity influences the heat transfer into the food and the moisture evaporating from the product interior. The goal is to prevent the dough from drying too much during cooking. Here are some useful tricks: spray the pizza all over with water, place a water bath into the oven or pass a damp cloth on the oven floor after moving embers aside just before baking. 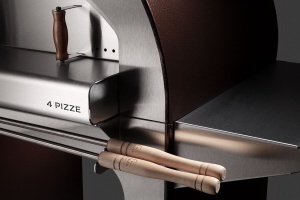 The cooking time depends obviously on the type of pizza and on the oven model. 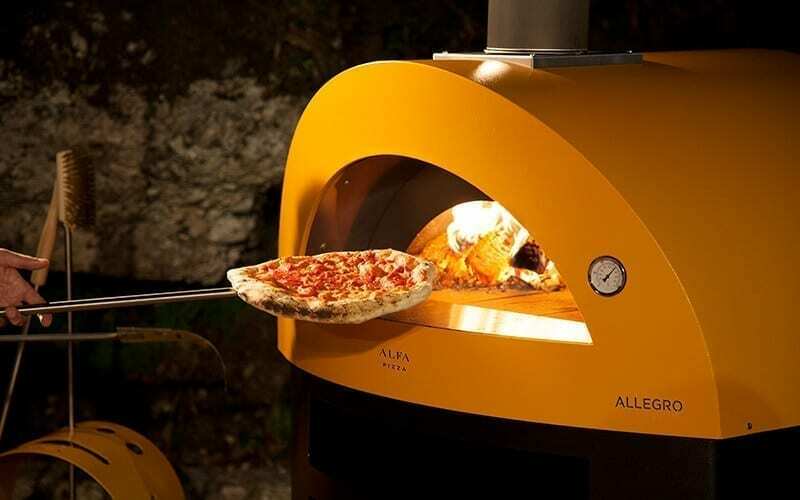 All in all, the wood-fired oven reaches the highest temperatures and cooks a pizza in less than two minutes. The gas-fired oven attains temps slightly higher than those of an electric one and so it cooks a pizza in about 5 minutes. 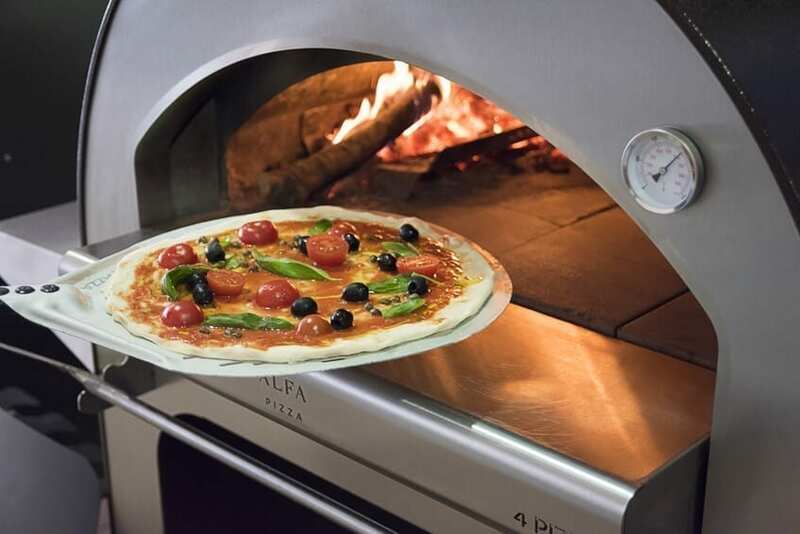 The electric oven reaches temperatures of 230-250°C (450°F) and cooks a pizza in about 10 minutes. 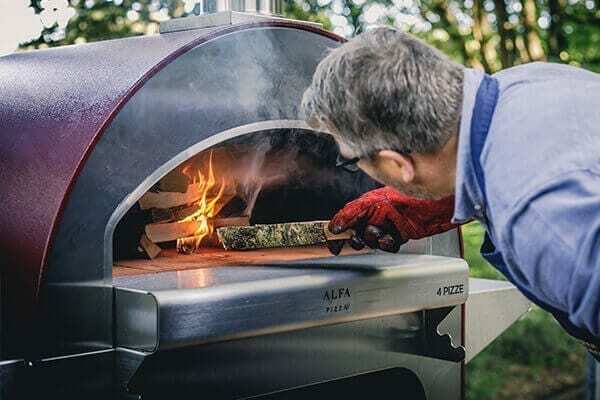 We have already talked about the different types of ovens (wood-fired, gas-fired or electric) in our blog but here allow us to have a liking for the wood-fired oven and the extra kick it gives to the food. Apart the distinction according to the power supply, ovens are classified in line with their cooking performances and maintenance expenses. Professional ovens are workhorses that link brilliant performances with relatively low consumption while home ovens are not as good but deliver real value to customers. Pan pizza vs. round one: what are the differences? Now, time has come to see some important differences between pan pizza and round regular one. 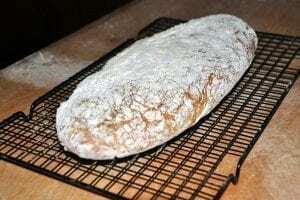 It can be baked in all ovens that reach at least 350°C (650°F). 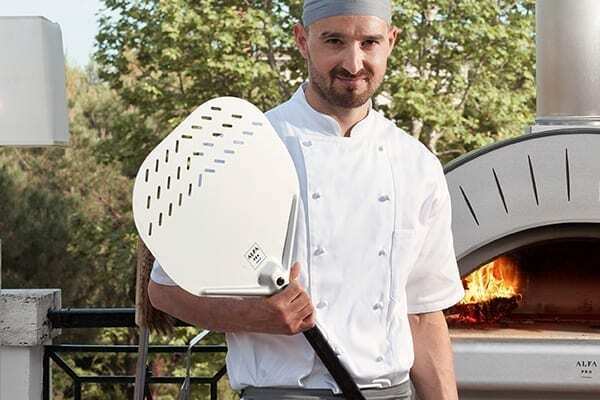 The very high temperature cuts down cooking times and pizza can’t dry too much even if it’s wafer-thin. Its hydration rate is about 60-65% and you can make dough without sugar as it is expressly stated in the Neapolitan pizza rules. The dough is often made a few hours before using it and is left to rise at high temperature. To make pizza dough you have to consider various fermentation phases: the first rise consists in one or two half-an-hour spells before finishing kneading dough to favour the formation of the gluten mesh. The second one, or bulk fermentation lets the whole dough rest as a mass and the third one or final proof occurs after the dough is divided into balls that will later work their way into pizzas. Stretching pizza dough is no easy task at the beginning but, as the saying goes, practice makes perfect. Just remember to press into the dough with your fingertips, working them outward and rotating the disc, letting the edges a bit thicker. The Roman pan pizza (pizza in teglia alla romana) or the focaccia differ in various aspects from the regular round pizza. The steps for making pan pizza dough are nearly the same with two major differences: you must add some sugar and more water (80% hydration). 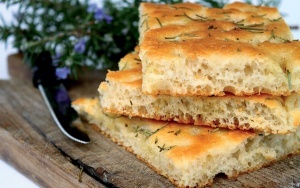 Using stronger flours (Italian “tipo 0” or “tipo 1”) allows the creation of a more solid gluten network and results in an increase in dough volume and a more even cooking. The fermentation phases follow one another in the same way but the dough will be divided into larger loaves according to the size of the pan and a 1,5 cm (5/8 in) thick crust. Stretching the dough in a rectangular pan is maybe easier, just remember to grease the pan and to push the dough from the middle outward to the sides of the pan. If the dough Is not sticky or mature enough, maybe it’s too cold, so wait a few minutes. Let it rest for half an hour before baking. To prevent it from drying up, pour tomato passata (pizza rossa) or brush some extra virgin olive oil (pizza bianca) on it. Top with mozzarella and other fast-cooking ingredients in the last few minutes. A very hot oven; light the oven a few hours before cooking to maintain the right temperature over time. Manage the temp as you work the oven, adding firewood to keep fire going. Move embers to the sides of the oven and pass a damp cloth on the oven floor to crank up the humidity in the cooking chamber. Proceed carefully when sliding the pizza onto the peel and into the oven floor. Make sure the bottom crust is as brown and crisp as the top crust. Light the oven at least an hour before cooking to stabilize temp. Use a pizza stone that absorbs heat and gradually releases it. 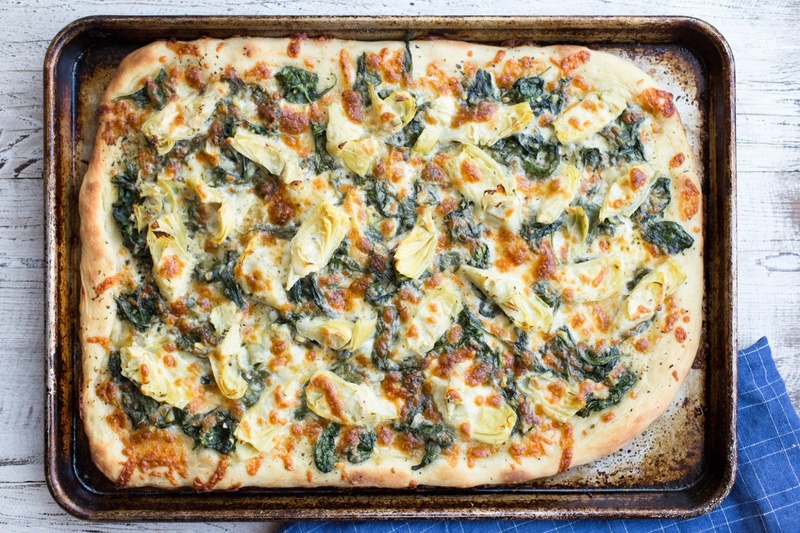 Use a not too thick baking pan that will heats up quickly getting in contact with the pizza stone or the oven floor. Don’t open the oven door frequently to avoid lowering the temperature. Adjust cooking by moving pizza to different rack heights. When all is said and done, an ounce of practice is worth more than a ton of theory so keep at it. Shortly, you will be good enough to churn out such scrumptious perfectly cooked pizzas to knock them dead. So, tuck in!